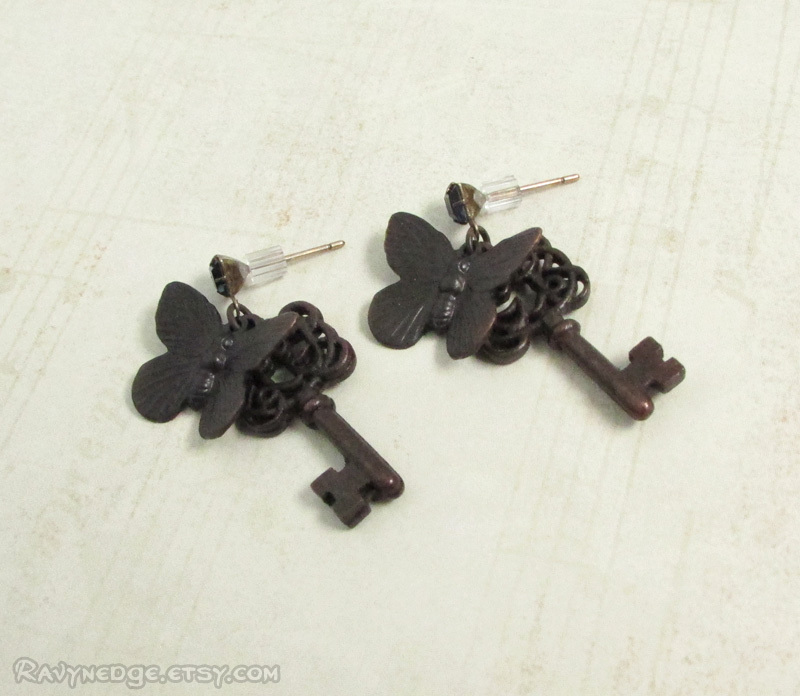 Keeper Of Curiosities Earrings - Black Skeleton Key Butterfly Earrings by RavynEdge. The butterfly is a powerful symbol in many cultures. They commonly represent the soul, change, creativity, freedom, and joy. Because of its impressive metamorphosis, the butterfly is often considered a symbol of transformation, transcendence, renewal, or rebirth. 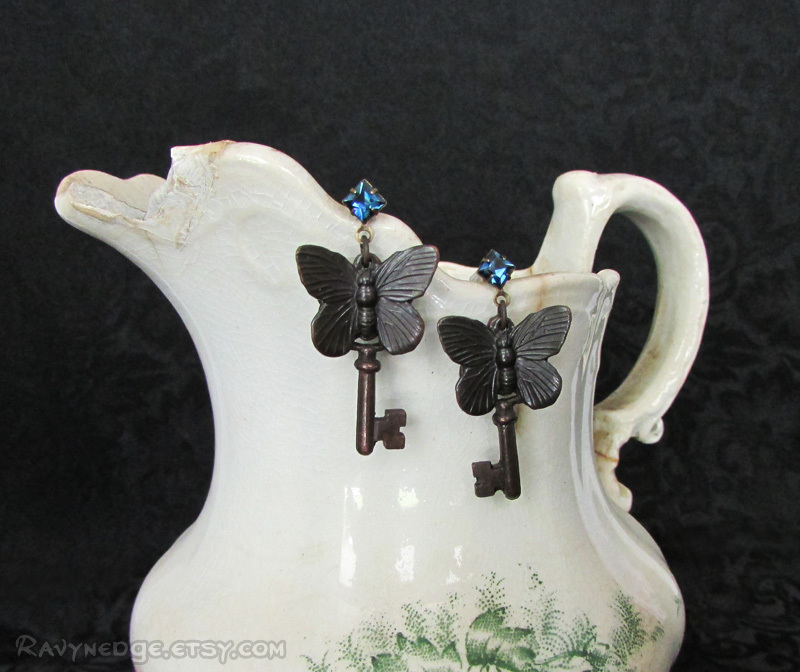 This pair of curiosity keepers seem to have fluttered away from the cabinets they unlock. 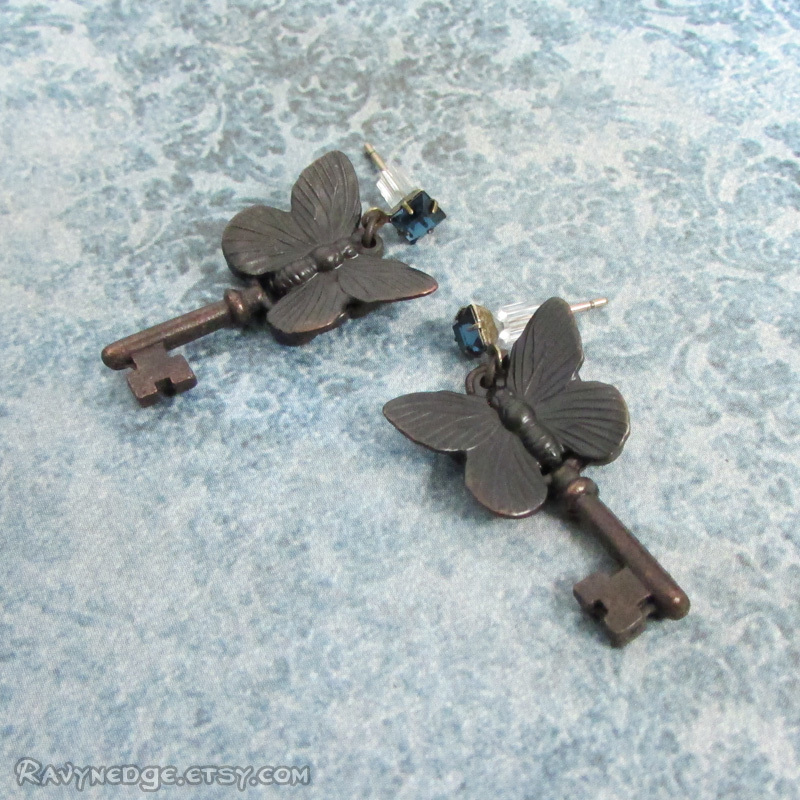 Give these butterfly skeleton keys a home and perhaps one day you will discover the many curiosities they protect. 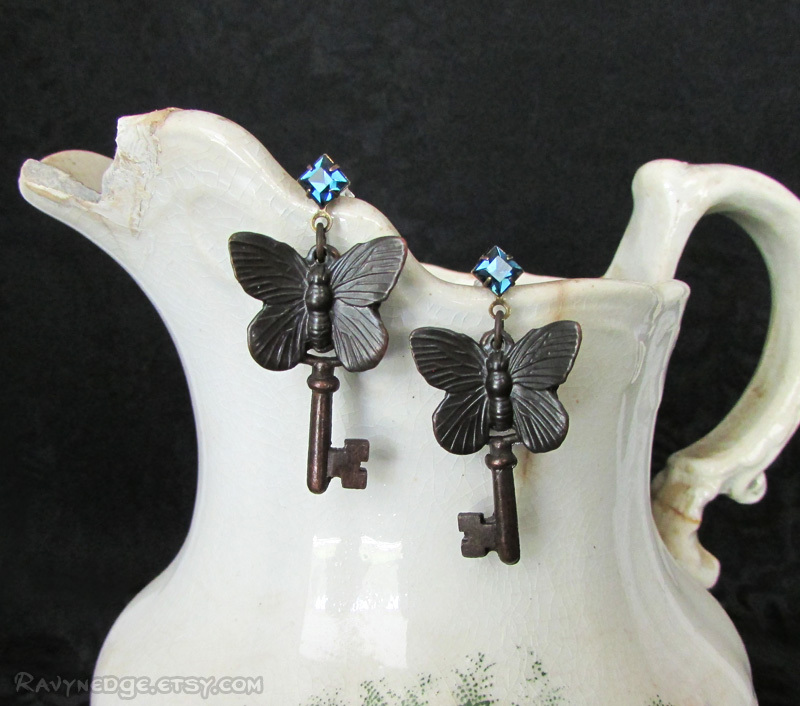 Measures 1.4 inches (36mm) from the top of the brass stud posts adorned with a montana blue crystal. Includes a pair of 4mm clear hypo-allergenic poly-clutches. 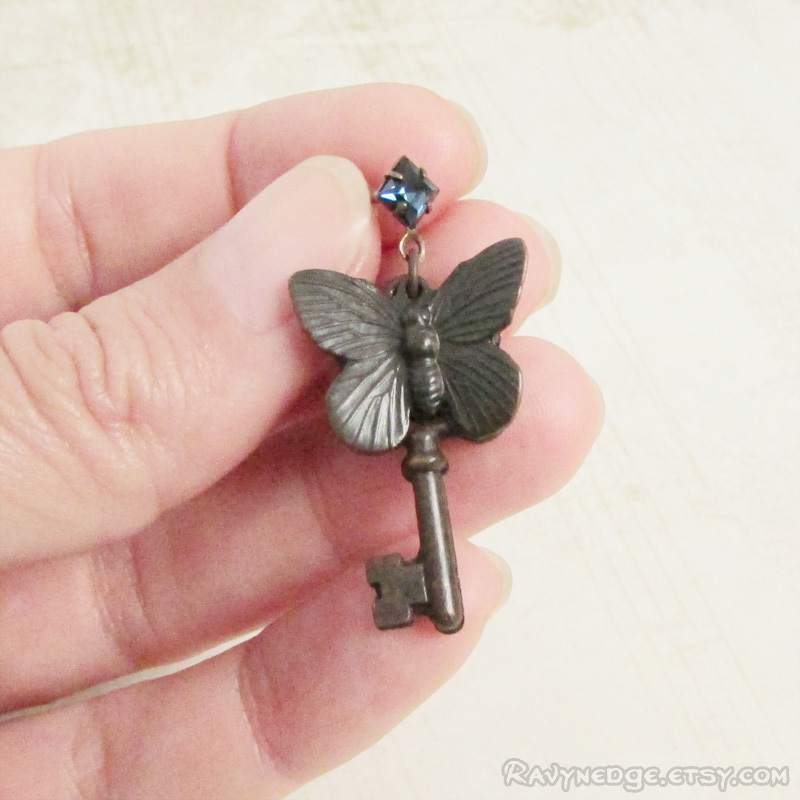 The butterfly is made of brass and the keys are lead free pewter.